We have our Teacher Appreciation on Tuesday. Wednesday we have "Feed my Starving Children" event with the Boys team. Thursday we have Acceleration Minnesota. We have our Four Season Skate this week. Theme of the week work hard, care about others, and make the things around better. We have our first home game on Tuesday. We have a split practice on Friday and a full week on Dryland training. We have an away game on Saturday. The Knights say "what they are thankful for"
Just wanted to let you know that we raised almost $400 at our Chipotle fundraiser last night! Thank you to everyone for helping! We have our second conference game on Tuesday. Thanksgiving on Thursday. We have our first section opponent North/Tartan on Saturday. Orders are due by Monday November 19th at 11:59 P.M.
Week Two has the start of Dryland at FHIT ( Located above Rink 5 and 6 at NSC). 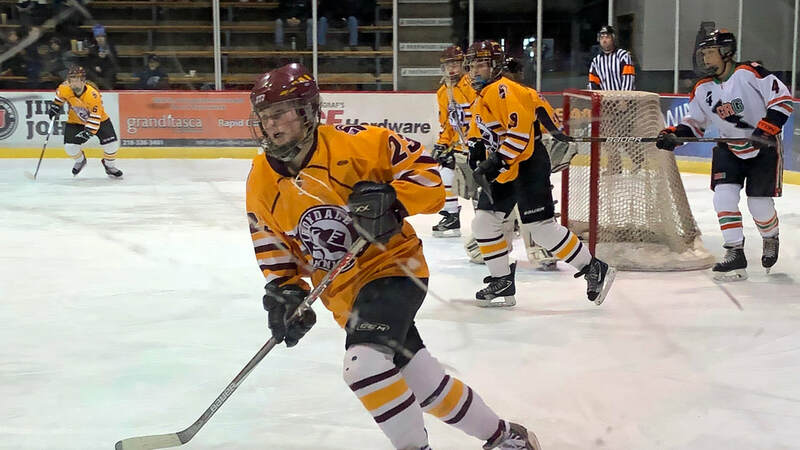 First Game of the season up in Eveleth Hippodrome on Saturday. Just a reminder there will be a pre-season player and parent meeting on Wednesday Oct. 24th 6:30p-7:45p in the Irondale High School Media Center. 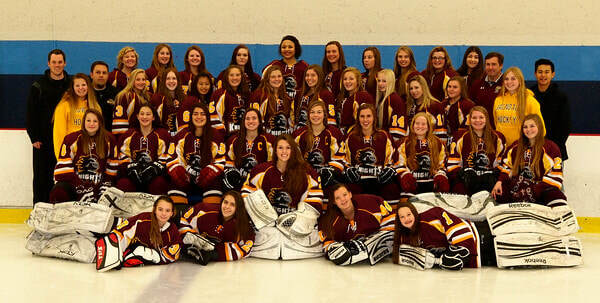 Any player planning to try out for the Irondale/STA High School Girls Hockey team should try an attend. David Bands will be taking Photos on November 2nd during practice, girls will be getting information soon. Captain's Practices will start next weekend! Attached you will find details about dates, times, rink locations, cost and also the required Release of Liability Waiver that needs to be completed and returned prior to your player participating on ice. Waivers can either be mailed or handed to a Captain at one of the practices.